Browse : Home PPC Deriving The Meaning Of A Good PPC Account Structure – What’s The Take? Deriving The Meaning Of A Good PPC Account Structure – What’s The Take? Did you know that improper and inaccurate account structure is one of the main reasons that the business organizations end up concluding that pay-per-click (PPC) advertising is both unmanageable and unprofitable? Their lack of success rate stems solely from an account that is not set up for sufficient ads thereby resulting in a high quality score. A messy AdWords account structure can make for failure but if you can engineer your account structure for success, you can certainly succeed in reaping profits. Check out the ins and outs of PPC Account structure. Improper Account structure – What problems can it create? Yes, it is true that your AdWords account will bring you enough profits only if you can organize it properly. The overall cost-per-click of your ads will reduce and also make it easier to interpret what your AdWords reports mean. For instance, you can consider an AdWord’s account that includes more keywords in a particular ad group than what is necessary. This makes up for confusing reports that gradually get more confusing as keywords from one ad group overlap with another. This may lead to clicks that come as a result of coincidental keywords that might not match the traffic that you desired for. You therefore spend more money which leads to wasted clicks that perform poorly. What to do if you want to make your account structure profitable? Your Google AdWords account structure is extremely important and hence it should be divided in logical and clear steps. By dividing it into steps, this will reduce the instances of redundant keywords and allow you to focus on your ads and show them only to people whom you actually want to show. This clearly shows that the taxonomy of your account should go from the broadest sense to the most specific: AdWords account, your campaigns, your ad groups and your ads. 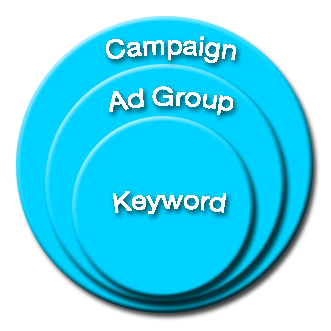 When you define your ad groups, you need to make sure that you make your keywords as specific as possible, which means using exact matches rather than broad matches for phrases and also making excessive use of negative keywords so that all the uninterested visitor don’t accidentally click on your ads. If you have multiple products or regions that you wish to promote through advertisements, you can create separate campaigns and then mirror the entire process with the parts that you want to change to present. You can therefore make your campaigns as efficient and specific as possible while raising your AdWords Quality Score. By employing this process, you may see that you end up with several hundred campaigns and this can be handled with the use of different applications like AdWords Editor provided by Google, as they can allow you to make large-scale changes. Hence, we see that there are a number of critical elements that should be considered to run a lucrative Google AdWords campaign. You might team up with your PPC manager and make sure you avoid all the mistakes that can put water onto your PPC efforts. Know what a good PPC Account structure is before you take the plunge.